Private space in New Mexico ... The recent Space Entrepreneurs and Enterprise Developers Symposium sponsored by the New Mexico Office for Space Commercialization brought together a number of RLV firms who spoke of possible operations in the state. See N.M. Spaceport Proposal Returns By Rene Albuquerque - Journal Southern Bureau - May.2.03 and Space travel - Las Cruces Sun News - May.4.03 for reports on the meeting. ... People working at the Mojave airport occasionally hear the rumblings from static tests of the SS1 engines. Great radio rocket show ... I thought the Science Friday show on private space development went very well. All the guests were quite articulate and made many good points. The audio is [now -June 4] in their archive. In past years, radio and TV shows on private space development typically spent a lot of time just trying to convince the audience that the concept was not a fantasy. Now, because of the hardware at SS1, Armadillo, etc. the proof is right there up front and the discussion can go right to substantive matters about regulations, when launches will start, follow-on projects, etc. Seems like real progress to me. TransHab Architecture... Not relevant to RLVs (except with regards to the places that RLVs will eventually go to) but check out my interview with Constance Adams who worked as an architect on the TransHab inflatable ISS module project. Talking about rockets ... The X PRIZE site announces that "X PRIZE Chairman Peter Diamandis will be featured and participate in the live, call-in, National Public Radio (NPR) radio program "Talk of the Nation: Science Friday" as the nation discusses private spacecraft development. The program will air live on Friday, May 30 from 2:00 to 3:00 PM Eastern, although times vary per NPR station." In addition to Peter, the show will include Neil Milburn of Armadillo Aerospace and Edward Hudgins of the Cato Institute and editor of Space: the Free-Market Frontier. See also May 30, 2003: Hour One: Development of Private Space Vehicles on the www.sciencefriday.com site. Canadian Arrow selects its crew ... The selection of an "international team of Astronauts" will be announced on June 26th. The event will also "include never before seen photos of the rocket in assembly and the future plans to capture the X Prize." The flight reached 50k ft, lasted an hour and 45 minutes, and was "solid as a rock" according to Burt Rutan, meeting all performance expectations. Two test pilots guided the White Knight but only ballast rode in the SS1. No fuel was in the SS1 hybrid motor so the total SS1/White Knight weight was estimated to be about 20% lower than for an operational flight. The SS1 is undergoing vibration tests and flights will resume when these finish. Next flight will be another captive carry but with a pilot in the SS1 and with most systems active. A glide flight may then occur, followed by a second glide flight to test the feather. They hope to do a 100km flight by the end of the year. The Momentum-Exchange/Electrodynamic-Reboost (MXER) Tether System, "will enable satellites to be launched on smaller, less expensive rockets and drop the propulsion costs for space missions by a factor of ten or more." according to the TUI press release : Tethers Unlimited Wins NASA Contract to Develop "Revolutionary " Space Tether Transportation System - TUI - May.16.03 . The money will go for further development of their simulator and of the Hoytether™ that could provide "a failsafe, multiline tether structure able to survive for many years in the orbital space debris environment." Rocket Guy Update... Brian Walker, who made a great impression at the recent Space Access' 03 meeting, has posted several updates on his web site including items on his rocket motor, hydrogen peroxide distillation, the launch trailer, and the test rocket. Kistler - real or pretend? I noted earlier that Kistler Aerospace had recently made a big overall of their website. I've been poking around the site and mostly it's the same as before but with new page layouts. However, the organization is now very much like that of a company expecting to be attracting and serving customers. See, for example, the pages K-1 List Prices, Flight Opportunities, and Payload Questionaire. Most of this info was available on the old site but not in such an explicitly payload customer interactive format. (Note that the Flight Experiments Design and Requirements Document announced on May 16th is available for download - pdf - 2.5MB.) Web site makeovers usually doesn't mean much but it seems odd to make all this effort if they are just pretending they are going to be launching payloads. After the collapse in their funding in the wake of the Iridium/Globalstar failures, there have been occasional hints that new funding would soon get the project back on track but nothing substantial ever happened. So skepticism is certainly warranted. Nowadays Kistler remains oddly quiet. John Bonne of MSNBC told me back in February that Kistler had turned down his request for an interview. With high profile people like George Mueller and other ex-top NASA leaders involved in the company, I'm surprised they are not speaking out more. Aviation Week's yearly launch vehicle review said the company's investors continue to support it. Perhaps they are hoping that O'Keefe will eventually see the K-1 as an opportunity to obtain low cost ISS resupply. Students reuse Starboosters... "Cal Poly Space Systems (CPSS) rocket club from Cal Poly San Luis Obispo succesfully launched, recovered, and re-launched a three-rocket cluster with two glideback boosters and a centerstage on May 17-18, 2003 at "Dairy Aire" near Fresno, California." CPSS Turns 2 StarBoosters Around in 24 Hours - Cal. Space Authority - May.20.03 (via ERPS). The 1.5m rocket cluster models the Starbooster design originated by Buzz Aldrin. A 3m single Starbooster also was launched successfully and it executed a horizontal landing safely as well. See the Cal Poly Space Systems home site for more about the project along with images and videos of previous launches. Shop at your favorite rocket store... I've noticed that some of the suborbital rocket groups and companies have set up on line stores to sell posters, T shirts, memorabilia, and other items related to their projects. Check out the rocket shop list if you would like get some cool rocket stuff and to give the rocketeers your support. Pablo de Leon & Associates completed successful testing of the life support system of the Gauchito, its X PRIZE vehicle. The tests, conducted in Argentina, included high altitude flights (30,000 feet) in gliders with the crew using the team's space suit system. The de León team also successfully completed several thermal tests of the space suit. The space suit successfully sustained temperature for more than two hours, twice the maximum duration of the team's planned land operations, flight, and recovery phase for its X PRIZE flights. de León team page on the X PRIZE site. Suborbital Institute goes to Congress ... As posted here earlier, on May 19th the SubOrbital Institute organized a lobbying event on Capitol Hill.This followed a similar campaign last February (see my posting and an article by Jeff Foust). In these events members and volunteers meet with Congressional staff to present issues of interest to the development of a suborbital reusable launch vehicle industry. The SubOrbital Institute is an industry association for the emerging suborbital launch services industry, with a membership that includes most of the small innovative spaceflight startups. The focus of the event on the 19th was to lobby members of the Senate Commerce Committee to reduce the regulatory barriers facing the suborbital startups. The two main items being promoted were full staffing for the Department of Commerce Office of Space Commercialization (OSC) and the formation of a Senate Suborbital Caucus. The OSC currently has funding for 5 positions, but there is only one person in the office, and no director. As SubOrbital startups begin to grow it is important that they have an advocate within the Department of Commerce. The SubOrbital Caucus is simply a group of Senators who have an interest in SubOrbital issues. The advantage of having a caucus is that it serves as a political focus for suborbital issues. In addition to the two primary issues at this event there were subsidiary issues regarding the formation of new spaceports and improvement in the environment for insurance of SubOrbital vehicles. Note that the OSC published last fall the very timely Suborbital Reusable Launch Vehicles and Applicable Markets report, which in the briefings I participated in was very useful in convincing Congressional staff that suborbital RLVs offer a viable path to space development. Be sure to check out this report (1.8MB pdf) if you haven't already. X PRIZE in PopSci ... As mentioned here earlier, the May issue of Popular Science had a very nice article about the X PRIZE with a focus on Armadillo Aerospace. The article is now online at A Few Dreamers Building Rockets in Workshops - Popular Science - May.2003 issue. X PRIZE Vehicle Options ... The paper by Marti and Nesrin Sarigul-Klijn described here back in March, was briefly mentioned in an entry in "In Orbit" section of the May 19th issue of Aviation Week. The entry notes the paper's analysis of the various design approaches to an X PRIZE vehicle and it's conclusion that "vertical takeoff and some air-launch [are] methods reasonable ways to ascend, and wings and decelerators [are] the way to come back." "This has stirred controversy" according to the entry, which says that Burt Rutan "criticised the assessment for making too much of historical comparisons and not enough of first-principles analysis." See the recent discussions at ERPS and sci.space.policy. The paper can be downloaded from AIAA paper 2003-0909 (pdf, 910kb). Successful SpaceShipOne captive flight ... As indicated here earlier, Scaled Composites flew the White Knight with the SpaceShipOne on its first captive flight this week. See the the announcement on the X PRIZE site and also SpaceShipOne makes first captive carry flight - Spacetoday.net - May.21.03, which says that Peter Diamandis mentioned the flight during a presentation at the COMSTAC meeting today. ... X PRIZE contestant Starchaser will host another open house on June 14th and 15th. Kistler updates web site ... Kistler Aerospace unveils a major redesign of their web site. Also, they've added a poster in a pdf file illustrating the K-1 Status ("First Vehicle 75% Finished") and a flash animation of a K-1 flight. Don't know if this signals any major development in their project but they did release a brief PR last week Release of the Flight Experiments Design and Requirements Document (FEDR)... - Kistler - May.16.03 about the completion of a study with NASA on using the K-1 to carry experiments. News brief ... Leonard David reviews the status of XCOR's Xerus project: XCOR Zeroes in on Xerus - Space.com - May.20.03. Note that the development cost mentioned at SA'03 was around $10 million. First SS1 Captive Carry Flight... I've heard that Scaled Composite plans soon to fly the White Knight with SpaceShipOne for the first time, perhaps as early as Tuesday. News brief... RLV related projects included in recent space grants in Florida to education and research groups : Grants Awarded for Florida Space Research/Education Projects - Florida Space Grant Consortium/Spaceref - May.19.03. See project listing at the Florida Space Research Institute. Firstly, Easterbrook should have actually talked with the "first space tourists" before panning space travel. Both Tito and Shuttleworth are effusive in their praise for their space journeys. Their trips were not ordeals marred by "agonizing G-forces" and motion sickness. I attended a lecture given by Tito and the whole hour was given to his attempts to describe what a pure state of joy he experienced during his week in space. Furthermore, [Rosaviakosmos] had about a dozen serious candidates for future rides to the ISS when the Columbia disaster caused it to suspend the tourist program temporarily. A yearly income of $40 million for the two free seats a year may be a "limited market" but it is a market nonetheless and a strong indicator of a much bigger market for lower priced rides. Nevertheless, Easterbrook is on the mark in highlighting Sea Launch as a very important milestone in the development of commercial space businesses. He reveals to a broad audience the fascinating story of how this wholly private enterprise not only overcame dramatic technological challenges but also difficult sociological and political obstacles to create a whole new space launch system. The financial success or failure of Sea Launch will certainly have a big effect on future efforts to bring about large private space ventures. However, he does not need to make the story of Sea Launch seem more special and unique by trashing all other private rocket ventures. You certainly would not know from his report, for example, that Kistler got far past the design stage and not only built K-1 hardware but finished 75% [May.20.03 - corrected from previous 80%] of the first model. NASA would have a fully reusable launch vehicle taking supplies to the ISS right now if in 2001 it had funded the completion of the K-1 or offered Kistler a larger carrot so that someone else would fund the vehicle. Easterbrook notes the hardware developed by Beal but he just sums up that endeavor with the cute remark: "The rocket motor worked fine, but Beal Aerospace did not". However, Beal claimed that he closed the company because of the unfair financial support given by NASA and the Pentagon to his competitors via the EELV and SLI programs. I would have thought this quite relevant to Easterbrook's thesis that Sea Launch faces similar competition. However, Easterbrook had assigned Beal to the crackpot launch schemes section and did not want any contrary facts to mess up the flow of his story. Similarly, cheap shots at prototypes like the Rotary Rocket ATV, which are only intended to test particular components of a system, are obviously pointless and gratuitous. I assume that's why he ignored suborbital projects since any steppingstone vehicle that doesn't immediately reach orbit is apparently beneath his consideration. It's just as well that Rutan's SS1 rollout occurred after he submitted this article since I'm sure he would have slammed it as more space buff whimsy. However, the nice thing about the privately funded suborbital projects is that they can develop at their own pace and not worry constantly about public relations. They just need to make steady progress one step at a time till they get halfway to anywhere. DARPA decides to hypersoar ... Apparently Preston Carter, DARPA project manager of RASCAL and other launch programs, has apparently convinced his bosses that his HyperSoar concept is worth pursuing. The Mach 10 vehicle, which would fly along the top of the atmosphere, cycling between 32 to 64km, was developed by Carter while he worked at Livermore National Lab. According to the latest Space News (May 12,03) DAPRA will start a HyperSoar program this year. Such a vehicle could serve as a satellite launching platform (up to "1000kg to orbit") or to deliver weapons. It could reach any spot in the world within 2 hours. There's no announcement at the DARPA web site but there is this RFI from last fall. ... Lund University students in architecture and design look at options for an X-38 style Crew Return Vehicle . On Sunday, May 18, 2003 the show will feature The Suborbital Institute and its director, Pat Bahn. Mr. Bahn is the CEO of TGV rockets and the Washington director of the Suborbital Institute, a trade association aimed at promoting the nascent suborbital launch industry. The Institute will send volunteers to Capitol Hill on May 19th. See announcement. Roton ATV resists leaving Mojave ... Mike Massee of XCOR has posted a series of photos he took of an attempt to move the Roton ATV to the Classic Rotors Museum in San Diego via a Chinook helicopter. The ATV became unstable on its tether and the helicopter returned back to the Mojave Airport where the landing nearly turned into a disaster when the top of the ATV smacked into the bottom of the Chinook. Fortunately, no one was hurt. SFF calls for new transport policy... The Space Fronter Foundation issues a call for NASA to buy space transportation rather than develop systems itself - Foundation Calls on NASA to Transform Itself "As Only NASA Can", Wants Agency to "Buy Rather Than Build" New Space Vehicles - Space Frontier Foundation - May.6.05. 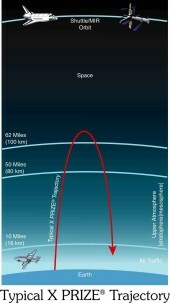 See also the proposed Space Transportation Policy by Alfred Differ - Frontier Files Online - May.6.03. News brief... Check out the transcripts from the House Space Committee hearing (Charter) last week on the Shuttle and OSP programs: Chairman Rohrabacher | Frederick Gregory | Dale Myers | Jerry Grey | Michael Griffin. OSP gets roughed up in the House... There's still hope that Congress won't passively accept continued operation of the shuttle and the decade long, $12 billion OSP development scheme . NASA officials got a tough reception yesterday at the House Subcommittee on Space and Aeronautics hearing on NASA's Integrated Space Transportation Plan (ISTP) and Orbital Space Plane Program. Rep. Joe Barton, R-Texas: "I am not going to vote for any funding for the existing orbiter to go back to space..."
Rep. Nick Lampson (D-TX) : "NASA's proposed Orbital Space Plane program won't deliver a Space Station crew return vehicle until four years after we need it, and it will cost billions of dollars more than the X-38/CRV program that was cancelled by the Administration. I think that 's both shortsighted and wasteful. We can do better." Witness Dr. Jerry Grey, from the American Institute of Aeronautics and Astronautics (AIAA), recommended modifying the shuttle to fly unmanned for delivering heavy payloads to the ISS. He also said "One troubling fact is the current OSP development cost estimate, which, although admittedly premature, ranges from $9 billion to $13 billion. Whatever happened to the $1.2 billion Crew Return Vehicle...?" Michael D. Griffin, of In-Q-Tel and formerly at Orbital Sciences, testified about the OSP: "It scarcely needs to be said that it will be extremely hard to justify the development of such a vehicle, at a cost of several billions of dollars, for such a limited purpose as OSP will have, given the requirements envisioned for it today." "several successful firings of the Falcon main engine (named Merlin), the first stage is almost complete, the second stage is in fabrication, our prototype fairing structure is done and a lot of the small, but important pieces arrived." A three day Falcon design review with reps from NASA, Air Force, FAA and others went well. They have a verbal agreement for a payload from DOD and a written agreement with an international government for a second payload. Latest calculations of payload capacity look better than previously stated: "1,250lbs (570kg) to 200km LEO from Cape Canaveral. This is 25% above our initial target of a 1,000lb payload capability. Pricing for the Falcon remains constant at $6 million per launch. " "starting in Q4 2004, SpaceX will offer Falcon with two liquid strap-on boosters in a configuration similar to Boeing’s Delta IV Heavy. Falcon’s capability to LEO would increase substantially to above 4000lbs (1820kg) and enable GTO payloads of approximately 1300lbs (590kg)." Human spaceflight is a long term goal "part of the reason why we have spent substantial capital on reliability -- some would argue more than is necessary for satellites -- is that we would like Falcon to be safe enough for human transportation. However, we believe it makes sense to prove reliability with satellites before putting people on the rocket. 99% reliability is considered exceptionally good in the satellite delivery world, but is not very satisfactory for people." Several photos: engine firing (combustion efficiency nearing target of 96%), the turbo pump (which will begin tests in May), 1st stage primary structure, avionics ring, satellite adapter cone and separation system, payload faring, and the test stand in Texas. A series of successful static test firings of the engine on the RVT-7 and tests of the new composite fuel tanks give them confidence they can now begin flights. See the previous item on March 27, 2003 about the program. ... The Scaled Composites entry page at the X PRIZE has, not surprisingly, been updated and includes a new team briefing (pdf, 284kb). No new info from what's on the Scaled website but does provide the essential info in a nicely compact form. ... A positive article on The X-Prize at the Christian Science Monitor - May.8.03 (link found at spacetoday.net). ... Rand Simberg argues that an Apollo capsule won't save the OSP from failure - Back to the Future - Transterrestrial Musings - May.8.03. Suborbital Action Day - May 19, 2003... The Suborbital Institute will sponsor another Capitol Hill campaign on Monday May 19th in support of issues important to the development of a vibrant suborbital RLV industry. A training session will take place on the evening of the 18th. Participate if you can. As noted in discussions at the recent Space Access ' 03 meeting, the regulatory framework for suborbital RLVs has reached a crucial stage of development. Reasonable compromises that insure safe operation without onerous and debilitating rules are within reach. Input now can have a big impact on the future of the industry. Discussions with Congressional staffs and regulators have a much bigger impact when unpaid volunteers are involved. They are impressed that people would take the time off to come and push these issues. Updates will be posted here as they arrive. In the meantime, contact Pat Bahn (TGV Rockets) for more details. A training session will take place on the evening of the 18th. News brief ... NASA asks for input on its approach to acquiring an OSP - Request for Information on the Acquisition Strategy for the Orbital Space Plane - MSFC/Spaceref - May.6.03. Northrop SLI engine development... Northrop gets SLI contract for further development of the "TR107, a one-million-pound thrust class liquid oxygen/kerosene reusable engine that operates on an oxidizer-rich staged combustion cycle" - Northrop Grumman Awarded NASA Contract for Next Generation Launch Technology - Northrop PR - May.6.03 . Technologies under development "include a duct-cooled main chamber, a pre-burner pintle injector and materials that do not require coatings for the oxidizer-rich environment. The TR107 provides high performance with a simple robust design that minimizes the parts count for greater reliability and operability and also minimizes the power head operating pressures to increase engine life." Launch companies meeting... COMSTAC (Commercial Space Transportation Advisory Committee) will be holding a meeting on Wednesday May 21st at the FAA Headquarters in Washington D.C. : COMSTAC meeting - Commercial Space Transportation - FAA / AST. Various launch issues under discussion related to both ELV and RLV developments. SpaceX images ... Photos of the Merlin liquid oxygen and kerosene engine, a test firing, and the test stand have been posted on the SpaceX website (click on Updates and then Image Gallery. Test firing of SpaceDev's hybrid engine.